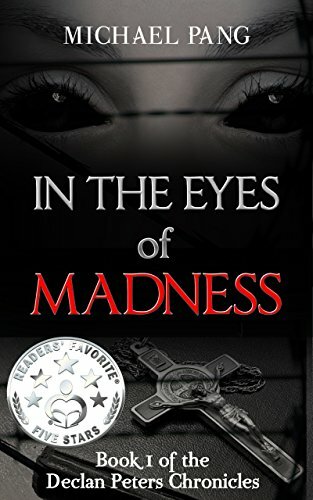 In the Eyes of Madness is a paranormal fantasy novel that tells the story of a boy who struggles with accepting the extraordinarily horrific things happening in his life or accepting that he’s going insane. What intrigues you about the horror and paranormal genres that led you to write this book? Let me start off saying that I’m a huge fan of the paranormal and urban fantasy genre. I feel that I already spend most of my day in the real world (going to work, playing and taking care of my kids, and spending time with my wife). When I open a book, I want to dive into a world that is magical, where anything can happen. So, one might ask, well, why not just pure fantasy novels? Fantasy novels tend to build amazing magical worlds that can allow the reader’s imagination to completely run free. I would agree with that. And I do enjoy a fantasy novel every so often for that reason. However, urban fantasy has the ability to cause a paradigm shift from how we would view our everyday life. They like to twist the things that would seem mundane into things that really make you wonder. And when you then add the paranormal theme to these urban fantasies what you end up with is a masterpiece that drills down the dark forbidden paths that you would avoid in real life. These stories tantalize your curiosity, fear, excitement, and bewilderment all at the same time. In the Eyes of Madness follows the life of a man named Declan Peters whose mother tried to drown him when he was a child. What was your inspiration for this profound event in this characters development? The premise of the novel came to me in a dream. And in my dream, I saw this teenager with haunted eyes that spoke to me of a tragic past. And I asked myself, what would be the most horrible thing that can happen to me as a child that would continue to haunt me as a teenager? For me, that would be if the person that I had loved the most as a child had tried to hurt me. That level of betrayal would damage any person beyond repair. The story switches between Declan, Tristan and Zoe. What character did you enjoy writing for? Was there one that was more challenging to write for? I love writing for each of my characters, but I did have the most fun with Tristan. I guess, in real life, I would relate more with Declan. I tend to be more of a “want to do good-er,” or what one would call the “nice guy.” It was fun to write for a character that had compromised morals for a change. In the Eyes of Madness is book 1 in the Declan Peters Chronicles. When will book 2 be available? Can you give us an idea of where that book will take readers? Actually before I release book 2 of the Declan Peters Chronicles, I will release book 1 of a new series that focuses on the Hunters. Declan will definitely make a significant appearance in this book as his story will tie into this new series in the future. Which would push book 2 out until next year. Book 2 of the Declan Peters Chronicles will reveal Declan’s mother’s relationship to the Hunters and what really happened to his father. The truth about Declan’s lineage will be most shocking! After I release book 2 of the Declan Peters Chronicles next year, I will focus on releasing a third book series that tells the story of the origin of demons. 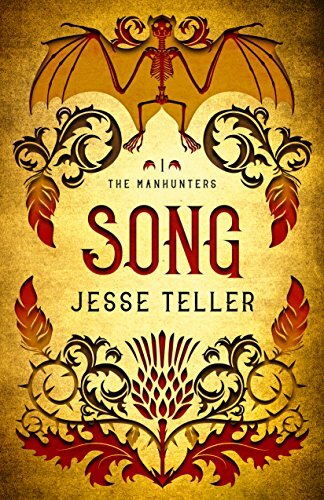 The origin stories of the demons in the other two book series will be told in this new series, and it will reveal a secret that will further the story of the other two series. Yes, that’s right three series. One that is set thousands of years in the past, one in the present about exorcists, another in the present about hunters, and all crisscrossing throughout. It’s going to be chaotic, fantastic, and MADNESS. A near tragic incident at the hands of his psychotic mother left Declan Peters alone and with so many questions. Years later, Declan is determined to find a way to be closer to his mother and takes a job at the institution where she’s being held. That fateful decision will be the impetus for a chain of events so terrifying that Declan will question his own grasp on reality. What he finds will be more horrifying than anything he’s ever experienced and more dangerous than anything he’s yet known. In a place, rife with demonic possession and sadistic beings, will Declan finally be able to find the answers he’s longed for before its too late or will he succumb to the evil forces that inhabit the institution and all who live there?